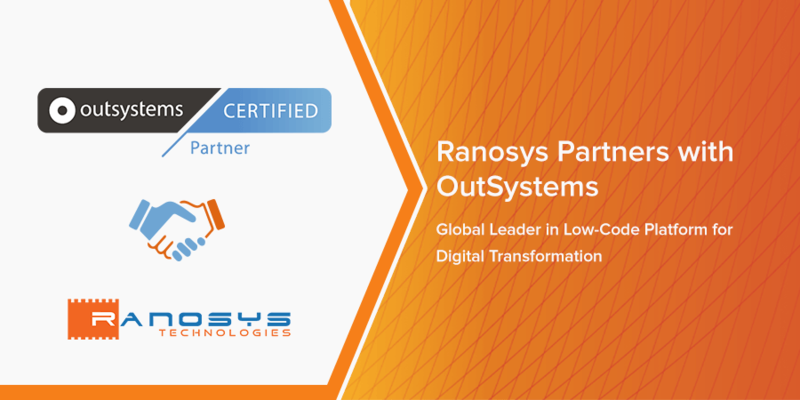 Ranosys Technologies, a leading digital technology service provider in Singapore, the UK and the USA, has become a partner of OutSystems, a popular low-code app development platform provider, to accelerate the digital transformation journey of the clients. 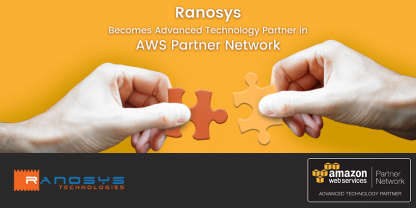 This partnership will enable Ranosys to further enhance its low-code development expertise, and to develop flexible apps with quick turnaround time. The partnership will enable both organizations to acquire new customers in SMBs and Enterprise level customers. The major focus of this agreement is to drive end-to-end enterprise mobility solutions using Ranosys’s enterprise mobility expertise and OutSystem’s proven low-code app development platform. In its role as an OutSystems partner, Ranosys will provide consulting, design and architecture, development, server administration, and maintenance and support services, in order to drive innovation by reaping the automation benefits provided by this low-code platform. For more information on Ranosys OutSystems offerings, visit https://www.ranosys.com/outsystems-low-code-development. OutSystems has emerged as one of the best rapid application development low-code software platforms with advanced mobile capabilities. This Rapid Application Development Platform (RADP) provides all the needed tools and environment for developers to build, deploy, and manage custom enterprise apps with ease. At present, OutSystems manages the entire app lifecycle of large portfolios at more than 600 enterprise organizations across 22 industries in 33 countries. 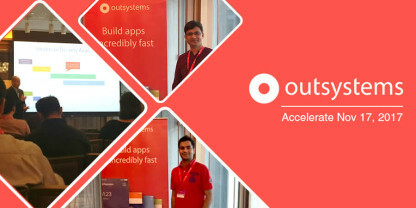 Ranosys, an OutSystems low-code app developer in Singapore, the UK (London) and the USA, is driven by digital transformation and aims to seek the fastest path for enterprises to value in today’s digital economy. Ranosys has comprehensive knowledge of OutSystems and offers continuous, agile and rapid development and quick delivery and management of enterprise level apps. For more information, visit https://www.ranosys.com.